After the renovation of our engine stalls, we have focussed our work to a new project. 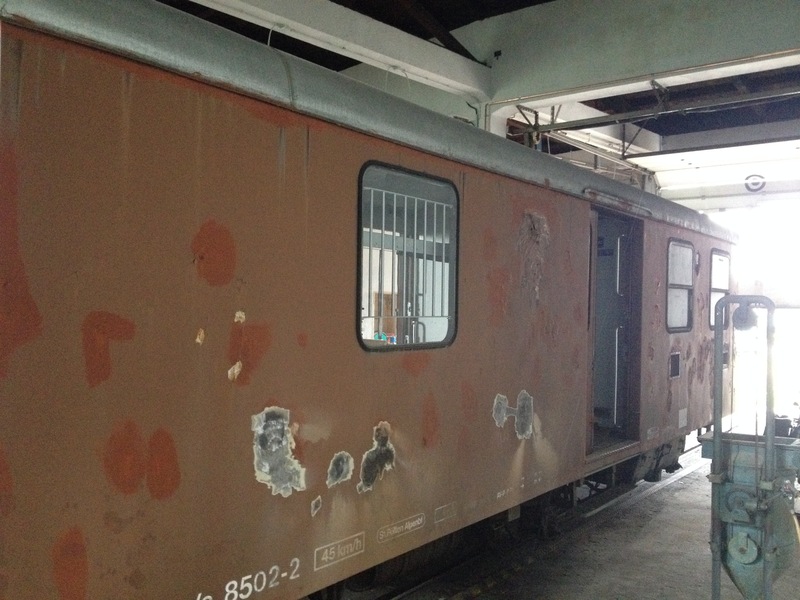 The next wagon for restoration is No. 8502. As the only remaining of three postal wagons of the Mariazellerbahn, he holds a significant historical value. In order to obtain him for posterity, he now receives a rejuvenation and is therefore being prepared for sandblasting in a freshly renovated stall of our roundhouse. 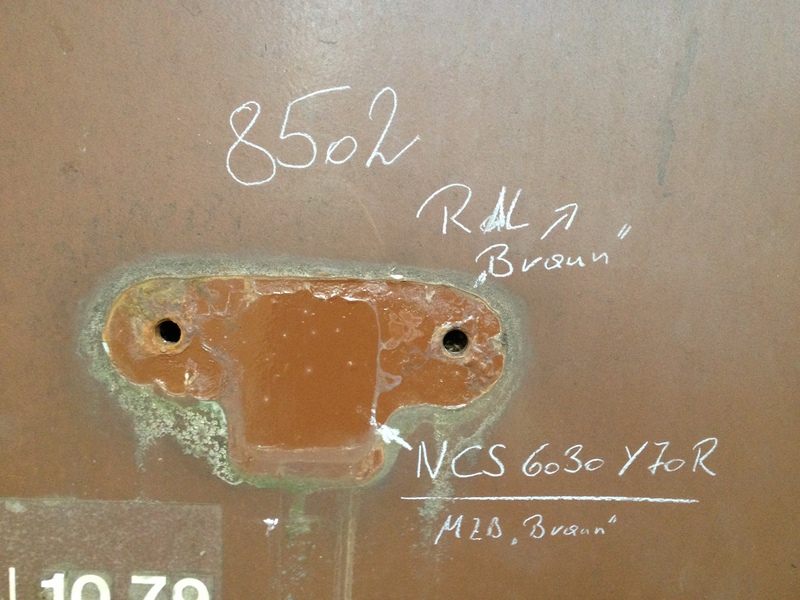 The following picture shows the different shades of brown used on the Mariazell Railway . 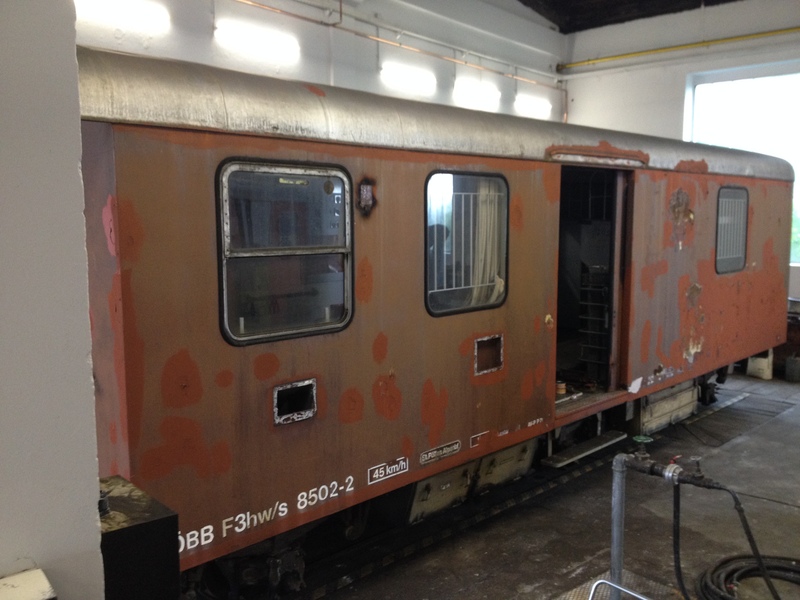 After the disassembling the add-on parts, we surprisingly found a spot with the “Mariazellerbahn – Brown” used in the initial livery of this wagon. Outside the roundhouse, our archivist has browsed the online archive for historical postcards “AKON” of the Austrian National Library for historical impressions of the Mariazell Railway. The following picture representing his findings shows the railway facilities of Ober-Grafendorf during their glory days. Note the impressive wagon shed with a length of 104 meters on the right, which can be found today substantially shorter at the south end of the station Ober-Grafendorf.